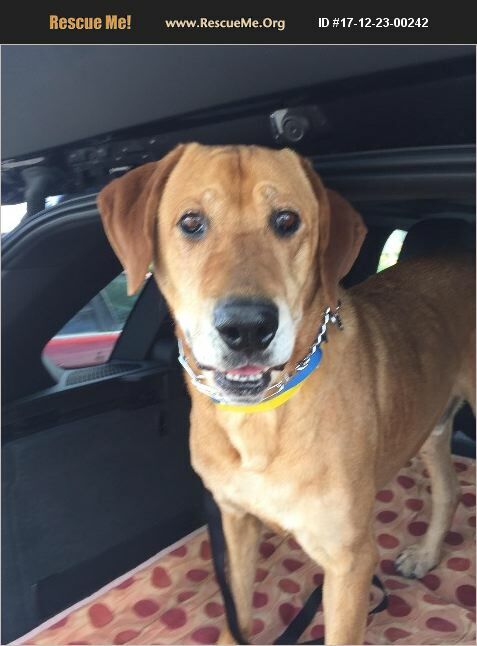 Big beautiful REX, a ten-year-old Ridgeback mix (likely with Great Dane), is a sweet boy who was surrendered to South LA shelter when his owners moved and the new landlord said he couldn't come. Do not his age deter you - he full of life! He is also a calm, loving and gentle soul - 100 lbs of pure love. He loves people and almost all dogs - he should not be with small dogs or cats due to his prey drive. Rex knows some commands and enjoys playing with other medium and bog dogs. He walks really well on a leash and aside from not loving skateboarders whizzing by him, Rex is pretty non-reactive - his new foster sister gave him a frosty welcome, complete with growling and lunging, and he did not bat an eye. He soon won her over and within a hour, they were playing together. When he left the shelter, many of the staff and volunteers came out to say goodbye. He was clearly a staff favorite!